…and who wouldn’t want them anyway? But before I go into a long list of what an ‘advanced’ Assessment ePortfolio can do for a learning provider delivering Apprenticeships, I feel the need to recap a little. Especially as many people are reading these articles as ‘one-offs’ and may be commenting on points already covered, such as in using the generic term ePortfolio as though they are all the same which they most definitely are not. Cutting across such confusing information is the basis for producing this short series. Also in previous articles I made clear that an Assessment ePortfolio is a system developed specifically to meet the requirements of all criteria based qualifications, not just for reflection and or personal development. I went on to point out that even then, not all ePortolios had been designed to the same standards and not all as ‘user friendly’ or ‘effective’ as one another. Hence my use of the title ‘The Good, The Bad & The Ugly’ in an attempt to set a benchmark for ‘choosing’ the very best technology available in 2016 and fit for purpose, rather than something that happens to be labelled ePortfolio which is unlikely to get off the ground. Having cleared that little matter up, I must also state that with this information, choosing the right system will be relatively easy compared to actually embedding one across an organisation which will include among other things, strategic planning and commitment by senior management . Otherwise it will sit in a cupboard somewhere alongside the iPads, 3D printers and other amazing tools, purchased when funds were made available but without a plan to implement them. But that’s another story all-together. When I joined an FE college as a work based learning coordinator many years ago, I had never given any thought to a portfolio, paper or otherwise. But I knew my way around business systems and easily recognised a complete lack of up to date or remotely accurate information regarding the apprentices progress. Information that was/is crucial to informing the learner, the employer and management, but only available at that time by asking the assessors opinion which didn’t always sync with the outcome. By the time I left to join the Regional Support Centre, North West as an eLearning Adviser for work based learning, we had introduced an ePortfolio across five departments. Crude by today’s standards, but better than a wet finger in the air. So my priority benefit would be that all key stakeholders need to have access to accurate information in real time and whilst the following list are merely examples of benefits, perhaps the question should be not so much what an advanced Assessment ePortfolio can offer, but does the current assessment process, paper or otherwise, have any of these features? And who wouldn’t want or expect to have them? It will manage all of assessment needs in one paperless system. Enable monitoring and tracking of learner progression 24/7 throughout the qualification. Evidence can be submitted and assessed almost immediately rather than having to wait for visits or evidence to be posted and assessed. Immediate notifications posted when action is needed to be completed by learner, assessor, IV/EV. Significantly improved communication between Assessor/Trainer and Learner with feedback, advice & guidance almost instantaneous, not just during a periodic visit. Employers are kept up to date more effectively, greatly improving employer engagement. Management know what’s going on in real time, not ‘give or take a few weeks’ and not just management, but the learner, employer, assessor, verifier and centre. Users can work in sync to complete qualifications whenever and however they wish. Cuts costs and saves money on materials, time, travel etc. there is considerable evidence to prove return on investment. Integration with existing management systems, eliminating duplication of data input. May act as a platform for making learning resources available online. Can increase assessor caseloads, without loss of quality. Timely completions, due to the above. Who does the ePortfolio belong to, where is it normally kept, who has access and how secure? Is it user friendly, does the employer get to see it, want to see it, would they understand it, what would it tell them? How frequently is it used for review or discussion purposes with the learner? What does each one weigh, how carried, how many times is it ‘handled’ what does it cost in stationery alone? Where is it stored, how secure is the storage, how accessible is the storage and bearing in mind that the SFA accepted ‘Digital documents’ in August 2011, what does the inaccessible space cost, over what period of time? Has anyone ever lost one and what are the repercussions? 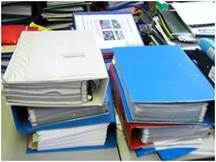 Another benefit that an advanced Assessment ePortfolio has over paper based is FREE secure digital or virtual storage. Followed by naming twenty benefits, including many of the above, yet here we are several years later with many learning providers daring to settle for ‘good enough’, well quite frankly it isn’t. But once again this comes with a warning. Choosing an Assessment ePortfolio is relatively easy once an organisation has identified which one is fit for its purpose. The challenge will be in the implementation, or risk it being put in the cupboard, with the other ‘best intentions’. Some of which I will deal with in the next article ‘What are the challenges and how others have found a way’. How do you think the eportfolio environment will adapt for the trailblazers?